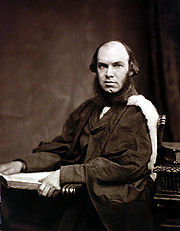 Caird, a part of the idealist movement in Great Britain, was Fellow of Merton College, Oxford, professor of moral philosophy in the University of Glasgow and Master of Balliol College, Oxford. Gave the Gifford Lectures on the evolution of religion and the evolution of theology. Held that the very conflict between idealism and materialism demanded a synthesis. He rejected that "common sense" could adjudicate these tensions in light of Humean skepticism. In Caird's opinion, Kant provided a unifying synthesis: "The distinction between subject and object emerges within the unity of consciousness, a unity which is fundamental." (Copleston). This unity is present in science.